SHORT SALE ~ OPEN TO OFFERS! • 788 sq. ft., 1 bath, 2 bdrm “Condo” – MLS® $185,000 – Gated Community! Deeded Parking! MUST SEE! Northern Liberties, Philadelphia, PA 19123 – Absolute move in ready gorgeous condo in Liberties West. Park like setting in gated community. This condo overlooks the courtyard and has abundant sunlight in each room. Every room has been freshly painted, gorgeous H/W laminate flooring found throughout the condo. Extra Large eat in kitchen with island/breakfast bar, dishwasher, refrigerator, gas cooking and more. Full marble tiled bath with new fixtures. 2 large bedrooms with ample closets. 2 storage units and deeded parking are included. Laundry in basement. 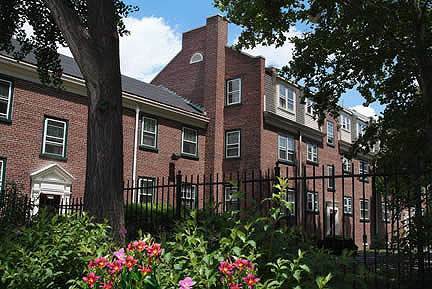 Great location convenient to Center City, transportation, and so much more! Truly a “must see” listing! Stop Renting! Stop Here! Call Today! • 660 sq. ft., 1 bath, 2 bdrm single story “with Crawl Space” – MLS® $79,900 – Stop Renting Now! Wissinoming, Philadelphia – Don’t miss out! 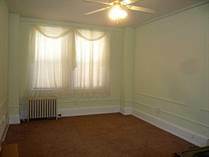 This lovely and easy to maintain home just received fresh paint and new carpeting throughout. Featuring gated front yard and low maintenance rear fenced yard. Front entrance into inviting living room with air-lite eat in kitchen (all appliances included in sale). Laundry on main floor. 3pc. Ceramic tiled bath with pedestal sink and skylight. 2 good sized bedrooms, one with access to rear yard which is a nice, concrete patio that you barely need to maintain! Washer, Dryer and Wall A/C are all included in the sale. There is a crawl space for additional storage. If you are looking to STOP RENTING, if you are downsizing or if you just want a nice, move in ready home on a well kept street, then stop here and call today!! 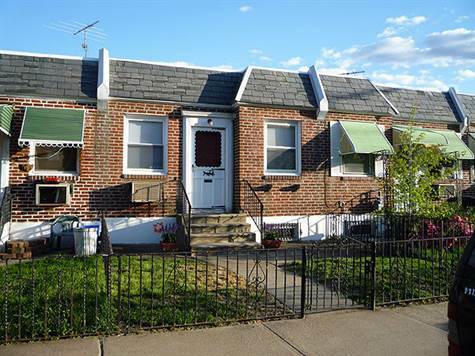 Modena Park (Torresdale) FOR SALE Phila PA 19154: OPEN HOUSE 5/16 12-2! Open House 5/16 from 12-2! • 1,440 sq. ft., 2 bath, 3 bdrm 2 story “Plus Full, Finished Basement” – MLS® $199,900 – 20 ft. Wide Modena Park (Torresdale) Phila PA 19154 … OPEN HOUSE 5/16/10 FROM 12 TO 2 ! 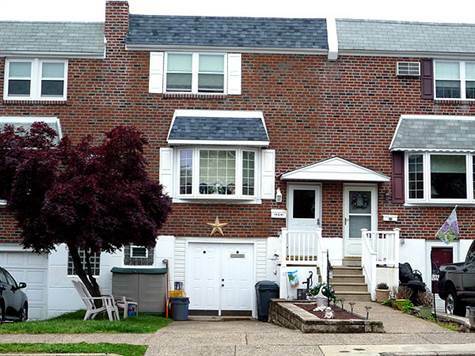 Modena Park, Philadelphia – Lots of space in this 20 ft wide Modena Park townhouse! Foyer entry (w/exterior PVC railings) into spacious living room w/lg bow window. Formal Dining room with partially exposed hardwood flooring (hardwood flooring throughout home under carpeting). Huge kitchen with tons of cabinetry, Dishwasher, G/D, built in microwave, gas cooking, breakfast bar and pantry. Main floor powder room. Upstairs there are 3 big bedrooms, master bedroom features walk in lighted closet. Main bath is ceramic tiled with newer skylight. Huge Linen closet in hallway. Basement has been finished and is being used as a family room with additional storage added, seperate laundry room and converted garage into a playroom. Walk out thru basement to low maintenance rear yard with covered patio, and even more storage space! Newer roof with warranty, All windows have been replaced. Heater apx 1.5 years old, Hot Water apx 3 yrs. old, Central Air apx 10 yrs old. One Year Home Warranty Included!! • 319 sq. ft., 1 bath Studio “Hi-Rise Condo” – MLS® $120,000 – Just Listed!! Washington Square West, Philadelphia – 6th floor updated, modern studio with Pergo laminate flooring, kitchenette, and full 3pc. ceramic tiled bath. Condo fee includes all utilities. Controlled access building, handicap accessible with elevators. Pet friendly. Lobby features marble floors and mahogany walls, 24 hr lobby attendant, guest lounge and free internet access. Community room, laundry facility, salon and professionally designed fitness center onsite. Ave of Arts, Kimmel Center, Major Colleges and Hospitals, fine dining and entertainment surround you. Transportation steps away from front door. SavvyBuyers stop here! Down the Street from City Hall! • 321 sq. ft., 1 bath Studio “Hi-Rise Condo” – MLS® $117,000 – Super Location! Washington Square West, Philadelphia – Bargain Buy at Broad and Locust Sts. Nicely decorated studio condo on 7th floor. Freshly painted rooms. Condo fee includes all utilities, professionally designed fitness center and 24 hr. lobby attendant. Hi rise Art Deco elevator building. Handicap accessible. Laundry and Salon onsite. 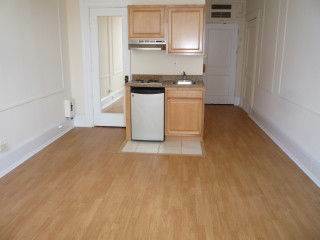 Walk to City Hall, Kimmel Center, Ave of Arts, Major Colleges and Hospitals, Fine dining and entertainment. Transportation is at your door step. Grand lobby features marble flooring, mahogany walls, soaring ceilings, guest area and free high speed internet. Pet friendly. To all of the Moms out there, have a wonderful day .. You deserve it!! It’s funny how when you become a Mom, you hear yourself saying and doing things you never thought you would, sounding like your own Mom. Just yesterday I told my son, “I don’t care that all of the other kids are doing it, you’re not!” – that was straight outta my own Mom’s mouth! I didn’t think I would need this one until my son (who will be 6 in a few weeks) was a teenager, but I was wrong. He wanted to bring his DS to school. My son doing what kids do best! Being a Mom has been amazing, scary, fun, happy, sad, you name it, it makes you see the world through a whole new pair of eyes. Any Mom knows that I do not have to elaborate on this statement. I’d like to thank my Mom for making me the person I am today. It’s nice to hear your voice come out of me, I only hope I do as good a job as you did and my son grows up loving me as much as I love you. To all the new Moms or Moms to Be .. welcome to Motherhood! Enjoy every precious minute of it. Time goes by FAST! You will be tired, drained, a walking zombie for just a little while, but those quiet little moments at 3am when the precious life you created looks up at you, their eyes almost thank you for taking care of them; it makes it all well worth it. It’s a feeling that can’t be explained, at least not in this blog. There is nothing like it. Happy Mother's Day from Me and MiniMe! My son will be 6 in a few weeks, it has gone by so fast. I am proud of him every day. He makes me laugh, cry, and sometimes scream. He makes me crazy yet grounds me at the same time. At the end of each day, he makes me thankful and makes me feel I am truly blessed that he is in my world. Found this, thought I’d share! I think the shoe fits! RESPONSIBILITIES: The rest of your life. Must be willing to be hated, at least temporarily, until someone needs $5.00. Must be willing to bite tongue repeatedly. Also, must possess the physical stamina of a pack mule and be able to go from zero to 60 mph in three seconds flat (in case, this time, the screams from the backyard are not someone just crying wolf).